This page is for our web master to post photos, letters and stories from friends near and far around the world. Johnny and Joe would like you to email Janice at janice@centrallodge.com or post by letter your input or speak to one of our researchers on Huddersfield 01484 515551 with further information you may have on the subjects, members, personalities, properties or the surrounding area. And or send us an email with your address and we will inform you when new contributions have been added to the website. Lovely to hear from you and nice that you remember us. I hold cherished memories of those nights at the Catacombs which were a very important part of our youth. We all went to Fartown School which, in those days, was in Birkby. Eddie joined the army when he was 17. He returned to live in Holmfirth some years ago and still plays guitar, mandolin and violin. Dave became a chef and moved to London where he has lived since 1967. I lost touch with Roger around 40 years ago. He now lives in Italy. I gained a degree in furniture design and have lived in Golcar for over 30 years. 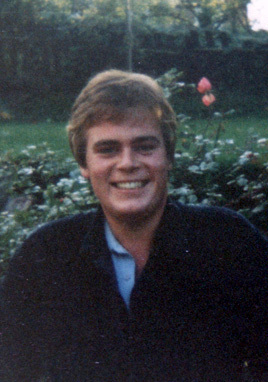 Vaughn was the comedian of the group and brother of Dave. He lived in Spain for many years and only moved back to Huddersfield around 7/8 years ago. Sadly, he died of cancer just over a year ago at the age of 61. 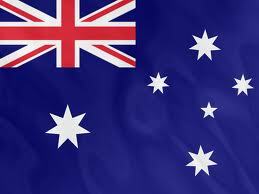 I am hoping we can arrange a reunion sometime but, with Dave in London and Roger in Italy, it might not be too easy. Most of us have not met up for over 40 years. Whilst browsing on Google I came across your website - johnnyshistory.com and wondered if Johnny may be able to help me with news of Denis Morris - Denny and the Witchdoctors fame. Johnny will probably remember me as Denis and I held our wedding reception at the Top Ten Club in 1968 and I worked in reception for them for a short while before Denis and I formed a duo and set off on our adventures abroad. To cut a long story short our marriage lasted 9 years (to many people's surprise) and, after we divorced, I gave up showbiz and studied nursing and became an SRN. Denny and I remained friends and, indeed he rented a flat in London from my present husband and myself for a few years after which he went off to Thailand and we have not heard any more from him. I am now 73 years old and he would be 81 and we wonder if he is still in the land of the living - it would be nice to know. The photo on your website - the one with Lynn on it - gave me quite a strange feeling, especially when I saw his handwriting! Also, there's a 72 year old gentleman started coming into Chads to sing on karaoke nights. He says he knows your family and (if i've got it right) used to sing in a band. He's called Spud Murphy (can't remember his first name- i'll find it out). We got talking as someone in the local history facebook group remembered a club where teddy boys used to go to and I was asking people who I thought might know- turns out it was The Catacoombs under the Top Ten! Hope everyone is well at your end, Robert. I had my 21st down at Johnny's on 26th November 1973. We (my mum and dad) booked the whole of Johnny's upstairs for the buffet and the oldies. Downstairs for the ravers. At about 5:30pm there was a knock at the door, it was Joe to tell us that Johnny's mum was having a party that same night and we could have the downstairs, but there would be no charge for the room or buffet, very good of them. We were thinking what would the oldies think of that, there would be no escape from the noisy music. We needn't have worried, they the oldies enjoyed it and danced the night away with the best of us. We all had a great time, and I will never forget my 21st. 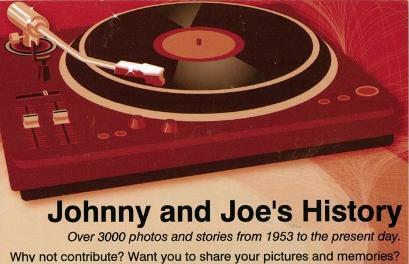 A couple of hours just flew by when I discovered your excellent web site , Johnny and Joe's History'. I am thus prompted to record my own reminiscences. My name is Paul Brook and my late father, Roy Brook, was the owner of Darwents French Pollshers, Kirkgate in the firm's later years. My father started work in the office at Darwents straight from wartime service in the RAF. He worked his way up to manger and finally owner. Dad was, what we would now describe as, 'old school' and was initially quite dismissive of the idea that the old Bull's Head pub being turned into a new fangled discotheque or 'disco'. However, very soon he came to know and admire Johnny Marsden (and probably the Marsden family) as 'go-getters' and for their business acumen. Of Johnny, he used to say 'Everything he touches turns to gold' (or words to that effect). The Darwent's day books would have been written up, certainly for the greater part of the 20th century by Phyllis Darwent. Always noted for her 'copper plate' hand writing. Known to me as Auntie Phyllis, she was a good family friend, and was nominated usmy God Mother. She passed away around 1980. Dad did not retire straight away on the firm leaving the traditional large Darwent's premises in Kirkgate. Johnny found smaller premises for Darwents in what had been the Top Ten taxi premises in Beast Market. Earl,ier in time the Express Dairy had operated from there. There was a narrow loading bay inside the premises where milk floats had been, loaded. Anyway, Dad was there for about a year before selling the business and finally retiring in about 1983/1984. Mum and Dad were very proud to be invited to the opening of the new Huddersfield Hotel (in the old Darwents building) and could not believe the transformation. However, there was a certain irony, in that Dad, a staunch Conservative voter, was to meet Lord Wilson a former Labour Prime Minister. The event was not to pass without much gentle ribbing from me. Dad was to succumb to dementia and died in 1989. In 1968, I started my working life in what was known as 'Service Centre' next door to Darwents, Kirkgate in the old Ellams tailoring premises, repairing Hoover Juniors and twin-tubs, leaving after about a year. I was a member of Johnny's 'The Old Bulls Head Club' from 1975 to 1977 and well remember the long hot summer of 1976. Great days (and nights). The last time I was there would have been 1977. Best wishes and every continued success to the Marsden family and anyone and everyone who remembers or who was connected with the old Kirkgate and Beast Market. The one clear distinction I would associate with this club was that it was more of a maize than any other club I have ever frequented, this accolade is isolated. Having spent the last three decades in the capital I feel fairly qualified to offer a retrospective view of Johnny's as an authentic disco night club, restaurant etc. Johnny's had a jungle bar that served food that to this day has never been eclipsed anywhere. The formula Johnny and Joe had whatever it was worked for them. London always had Stringfellows in the 80's and Xenon and Browns, continuing in the 90's Valbonne took stage also 5 Cavendish and Michael Ferdenzies club, but they were all phases and Johnny's outlasted the lot because of what it had to offer. The concept was probably pretty simple, give people what they wanted , and he did. I have had the pleasure of making the acquaintance of all three of these people who are all down to earth to their credit. I have read recently on the site that the new owners won't be changing the Johnnies concept which is very pleasing since there is no other place like Johnnies. Remember all that was achieved was done without any internet services ,. Quite simply Johnny and Joe knew how to run a night club. and six days a week they opened up which in itself is an achievement when one looks back..
and the George hotel then there is no justice , it's only when one reflects after so long that you really appreciate what they did for us all. To which I am grateful.. I love the wesite it brings back so many happy memories. I became a student nurse in 1982 at Huddersfield School of Nursing and our group regularly went to Johnny's on 999 night! We would ring up from the nurses home and Johnny's would send a mini bus to pick us up and at the end of the night it would take us home. They even put a light buffet for refreshments. You wouldnt get that kind of service anywhere now. Those were the days, we had great fun, it was THE place to be. I also worked at Clothiers Arms Pub in Stocksmoor as a waittress and there was many a Saturday night where after closing we would all troup down to Johnnys including my mum "Breezy Brenda" (the cook) and dance the night away. I even saved my VIP membership card. It always makes me smile when I think of the brilliant times we spent there. “I first came upon Johnny’s as a student in 1979, when it was 30p (or was it 15p?) entry with Union card and many a night spent squelching around the glass floor”! “The Bistro also provided a proper place in town to dine serious girlfriends, all under the watchful and discreet eye of the perennial maitre de, Paul ‘if it moves I’ll cook it’ Pearce. If ever there was an example that passive smoking doesn’t harm you it’s Paul and the Johnny’s team”. “I left the Poly in 1983 and by Christmas 1986 I and five other gentleman graduates had booked into the Hotel for a reunion”. “We’ve been doing that every year since”. “In Between, I and some others have had stag nights there too”. “It would take too long to let you know the appeal that’s kept us going”. “The staff always had a welcoming approach and friendliness that had always remained”. “Most people in Huddersfield will have attended some event at the entertainment centre owned by Joe and Johnny Marsden”. “The family have been extremely committed to supporting many organizations in the town and have given time and money to support many charities”. “At a time in the 70’s when cinemas, dance centres and theatres were closing down the Marsdens provided more places to go. Lots of us entered the club under age, not for the drink but for a good night out and a place to meet”. “More recently they developed the Hotel, a favourite of the the cast of the “Summer Wine”. “Local businesses will miss the jolly presence of these men in the town”. “Thank you guys for all you have provided for the town over 50 years”. It was the summer of 1995 and Jason invited me to stay at his parent’s house in Leeds Road for the weekend. I came over on Saturday morning and we went to play cricket. I hit a glamorous six – and he decided to run me out! I was somewhat miffed, to say the least. We had a few beers, which smoothed things out a bit between us, and then went on to Johnny’s - a one in a million place made up of all those little rooms. I’d never been anywhere like it. “I remember the family from the late 60’s when I was a teenager”. “I never got to visit the Top Ten (another club)”. “My father wouldn’t let me stay out so late even though I didn’t leave home until I was 20”! 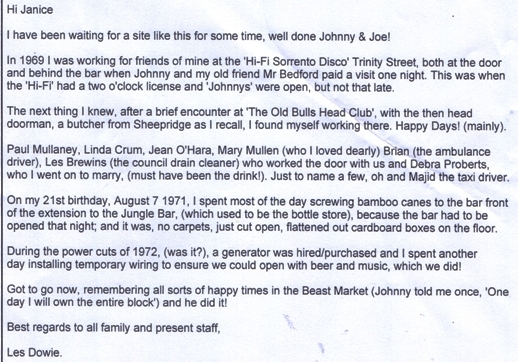 “However, I remember the cellar which Johnny managed and got all the groups to perform in”. “It was called the Catacombs”. “I spent many a happy hour bopping away there before my boyfriend put me on to the last bus and then went up to the Top Ten”. Thirty years of dance, romance and drinking! By Neil Atkinson, The Huddersfield daily Examiner, 2003. 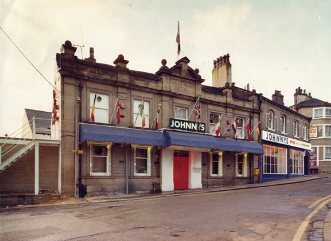 NO-ONE who grew up in Huddersfield over the past 30 years can have missed out on a night at Johnny’s. “we will await with interest what changes take place, and we will share again the memories with a little sadness I expect this time around”. “I worked as a waiter in the hotel in 1990”. “I remember the stars from Summer Wine; they were around so much and were really friendly”. “Peter Sallis and Thora Hird were really great and Peter always left a tip”. “They are days I miss”. “I was brought up in number 13, Northgate which was then the Right o’Bells pub”. Have you any photos to share with us? 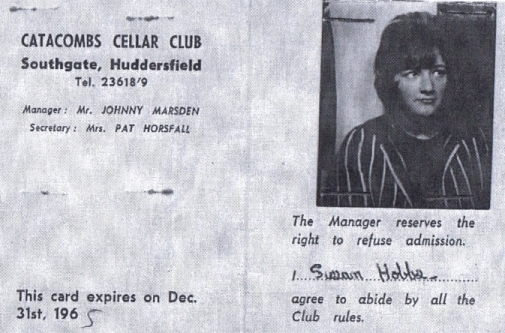 I couldn’t resist sending you a little memoir of The Catacombs Cellar Club, my membership card which expired 31st December 1965! My friends and I spent many happy hours there, and I worked there before moving on to the ‘Top Ten’ reception. I had my little sister in tow and would sit at the bottom of the Cats stairs, signing in customers with little Bar (Barbara) patiently beside me. I knew most of the customers both at the Cats and the Top Ten by heart, so could always detect the cheats who had borrowed a membership card to try their luck without paying the fees. There were quite a few characters that make up the history of my younger days. Huddersfield Technical College students Penny Ross and Christine France were served traditional food by foreign students. The event was a national costume display and dance at Johnny's Disco which about 300 overseas students at the college attended. It was organised by the college union and the Overseas Students Society. Many of the students wore national dress. Special refreshments were served and there was also a demonstration of traditional music from various countries. Hope you are in good health. My brother in Huddersfield, I think you may know him, James Walsh from Barret Business machines, he sent me an email about your new website (what a great idea) and straight away I looked it up. It brought flooding back, so many happy memories and good times I always had at Johnny's nightclub and complex. I would like to congratulate you on such a brilliant website. Johnny’s holds so many great memories for so many people. I was also amazed to see a picture of myself at the Boy & Barrel, I am the one in the Elvis suit. I wore this because I appeared in a charity concert the night beforehand which was organized by Steve Whitwam at the Golcar Entertainment centre for local charity. Irene was at the concert and asked me to appear there the following night. It was one of so many great nights we had. I’m Richard Flower, a 53 Year old ‘Huddersfield-ite’ just wanted to respond to your Examiner Article. I was a regular at Johnny’s from age 16(oops!) 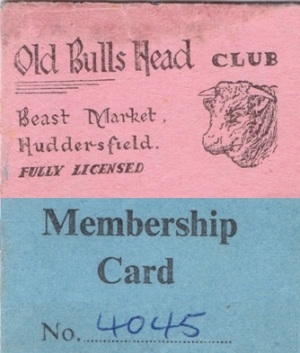 I looked 18J - Even had an ‘Old Bull’s Head Club’ membership card, the brown one with gold leaf writing and a picture of a Bulls head. Anyway 18 onwards I became even more of a regular and even became one of Johnny’s ‘favoured’ so that when he spotted me in the queue he would pull me out and walk me to the front and let me in past Slim, usually for free!! (Bless Him). Few years later when the Hotel and Bistro opened, I became one of the privileged there too (well that’s how it felt) because I didn’t have to queue with the ‘Great Unwashed’ in the Beast Market entrance at the front. I could go to the door of the Bistro in Rosemary Lane and Johnny, Joe, Radar Mary Mullen (disco bar) the security guys and many of Johnny’s staff would recognize me and let me in for free. I also had my wedding Evening Reception there on March 12th 1988 upstairs in the Piano Bar I think it was called. We even had “The Wilson Room or Suite?” in the adjoining Huddersfield Hotel. My late, great Father in-law is Brian Tann, a local and well known Jazz Band Leader, and Mother in law Kathleen Tann was, as I understood a good friend of Johnny & Joe’s Mum. THEE MOST FANTASTIC memory of our wedding night do at Johnny’s was after most of our guests had gone home. It was around 3am and we vacated the upstairs piano bar and came down to the main disco bar in the now empty night club. At the time there was a piano there too. At around 3am I went up to our room to retrieve a magnum of Champagne on ice that had been ordered by my Cousin. On the way up in the lift I was joined by two American guys. I thought I recognized one of them so I introduced myself and probed. It was 60’s/70’s singer Jimmy Ruffin and his Manager. Jimmy had been performing at the frontier in Batley. I immediately invited them both to join our little private gathering downstairs in the club. I got the champers from the room and went back down. I started to blurt out I’d just met Jimmy Ruffin in the lift when Jimmy and his Manager walked in the room. Jimmy was absolutely fantastic, he was the life and soul (forgive the pun) of the party, flirting with the women in the group and having a laugh with the guys. I play a little piano and I remember having a little moment to myself (in my head) I thought ‘ it’s my wedding night, we’ve had a fantastic day and night, and here I am with my beautiful bride, my closest friends in Johnny’s and I’m sat playing the piano and I’ve got Jimmy Ruffin SINGING!! What can top that?? It was BRILLIANT!! I just remembered something else. In the Disco bar (Mary Mullen days) there was a thin Muriel running around the wall. It was a kind of silhouette of the old London as viewed from the South Bank of the Thames; you would pick out St Paul’s, Tower of London etc. I can remember commenting on it to Johnny and he was well chuffed because he liked it too. I remember a few nights, perhaps a tad worse for drink, having a Muriel appreciation discussion with Johnny. Happy days! !